Greenpeace protesters dangling from a Portland, Oregon, bridge lowered themselves to the Willamette River on Thursday, clearing the way for an oil company icebreaker to continue on its way to the Pacific Ocean and then the Alaskan coast. 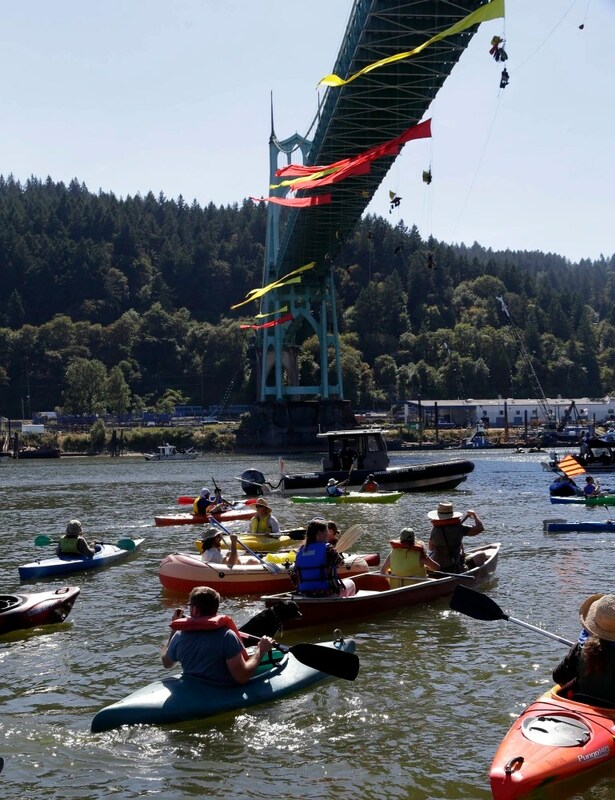 The 13 protesters had been hanging from the St. Johns Bridge for almost 40 hours in an attempt to block Royal Dutch Shell’s icebreaker MSV Fennica — which stopped in Portland for repairs Saturday — from returning to sea. After almost two days into the protest, members of the Portland Fire Bureau’s technical rescue rope team built their own rope system Thursday crossing the bridge, Lt. Rich Tyler said Thursday night. Then, “we ended up lowering ourselves down to where the protesters were,” he said. The first two protesters the officers reached agreed to lower themselves to a Multnomah County sheriff’s rescue boat in the river below. The next ones, however, refused, “so we went down to where the ropes were connected and anchored, attached our ropes to their ropes … and lowered them down” without their cooperation, Tyler said. Once the first three protesters had been removed and the Fennica had enough room to pass — it sailed through right under them — “the rest came down voluntarily,” he said. Meanwhile, “kayaktivists” in the river tried to block the icebreaker’s path, but crews hooked their kayaks to jet skis and pulled them out of the way. The ship cleared the bridge about 6 p.m. (9 p.m. ET). The ship’s next confrontation could come in Astoria, Oregon, where it was expected to arrive after 11 p.m. (2 a.m. Friday ET). The Coast Guard said it was prepared to enforce a 500-yard safety zone around the Fennica as it made its way through the Willamette and Columbia rivers Thursday night and Friday. The protest was a costly one for Greenpeace, which was fined $2,500 for every hour the ship was stalled — eventually reaching $17,500 — after a U.S. district judge in Alaska found the organization in civil contempt. And police carted off an undetermined number of protesters and other people in plastic handcuffs, with charges to be determined, probably Friday, police said. But Mary Nicol, senior Arctic campaigner for Greenpeace USA, said it was worth it. Royal Dutch Shell, which the U.S. Interior Department granted the final two permits it needs to explore for oil in the Arctic, said in a statement Thursday night that with the Fennica on its way to Alaska, “the Transocean Polar Pioneer commenced initial drilling operations” immediately in the Chukchi Sea. Portland Mayor Charlie Hales said the protest made for a “hard day,” because he opposes drilling in the Arctic but had law-enforcement responsibilities as mayor to carry out. Just before 6 p.m. Thursday, the controversial icebreaker MSV Fennica threaded through a hole cut by law enforcement in the wall of protesters suspended from the St. Johns Bridge. For Royal Dutch Shell, the company that will use the ship in oil-drilling operations in the Arctic, the exit marked the end of a week of protests on the Portland bridge and outside the Swan Island dry dock where a gash in the ship’s hull was repaired. For the 13 Greenpeace USA activists on the bridge and dozens of others in kayaks and canoes on the Willamette River, it marked a disappointing end to a high-risk, high-reward protest. 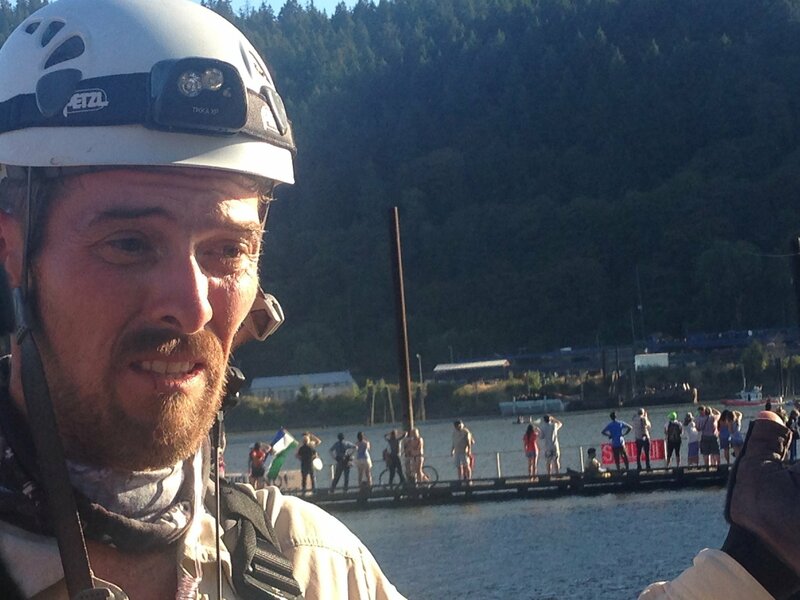 Gormley, 42, of Boulder, Colorado, climbed over the railing of the St. Johns Bridge just after 1 a.m. Wednesday and spent the next 40 hours dangling about 100 feet from the bridge’s roadway and 100 feet above the Willamette River. The 13 suspended protesters and the minders who watched over them from the St. Johns Bridge deck hoped to prevent the Fennica from departing for the Arctic. Their goal was to delay Shell’s ship – hopefully pushing back the difficult work of drilling for oil in the Arctic long enough that the company would lose a year of work. In the time before things thawed next year, protesters hoped for political change in Washington, D.C.
As Gormley was greeted as a hero after rappelling to the water Thursday evening, he explained that even though the protesters lost the battle, they delayed the boat for hours. Earlier Thursday, a first game of chicken was won by the protesters. The Fennica headed downriver from Swan Island at about 6 a.m. Within about 300 yards of the St. Johns Bridge, it stopped. Dozens of kayaks and canoes pinched the river channel just in front of the 13 suspended protesters, each linked with arcing ropes between them and with a long colorful streamer trailing behind in the morning wind. About two hours later, the ship was back at Swan Island. Just after 2 p.m., officers from the Coast Guard, Portland police, the Multnomah County Sheriff’s Office and other Portland-area law enforcement agencies closed the St. Johns Bridge to all traffic and began to direct the river-going protesters toward the shore. Within two hours, the Coast Guard had closed the Willamette River to all traffic between Swan Island and the Columbia River. They used boat hooks to move the smaller craft from the waterway. Portland police Sgt. Pete Simpson and Portland fire Lt. Rich Tyler said police and fire teams closed the bridge when each agency had the resources in place to conduct a safe technical 205-foot rope rescue. A police Special Emergency Response Team officer rappelled over the bridge and cut the lines connecting the protesters dangling from the bridge. Then Portland Fire Bureau technical rescue teams moved in, with some firefighters going over the bridge’s edge and asking the protesters to voluntarily ease themselves down to waiting boats. The first two protesters came down on their own but the third wouldn’t communicate. Firefighters connected two rope lines to his lines, removed his anchor and lowered him on their attached lines to a boat. Their work opened a gap just wide enough for the Fennica’s safe passage. “It was frustrating and heartbreaking,” Philip Fensterer of North Portland said minutes after the ship cleared the bridge and the last protesters. As the ship moved toward the Columbia River — and, ultimately, the Pacific Ocean — the remaining protesters quietly slipped off their perches. Each was greeted as a hero on the Willamette’s banks by crowds of protesters whose feelings had traveled during the day from exhilaration to anger to resignation to exhausted thankfulness. 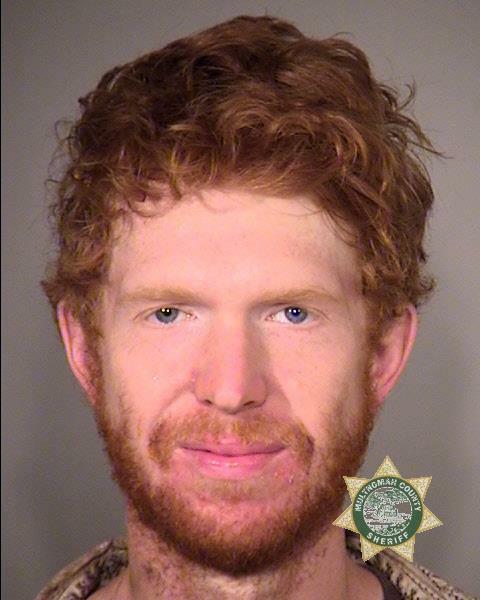 Police initially detained protesters but by late Thursday night said they only made one arrest: 24-year-old Robert Jonah Majure, who police say locked himself to a railroad bridge and is accused of first-degree criminal trespass. — Laura Frazier, Molly Young, Maxine Bernstein and Stuart Tomlinson contributed to this report.